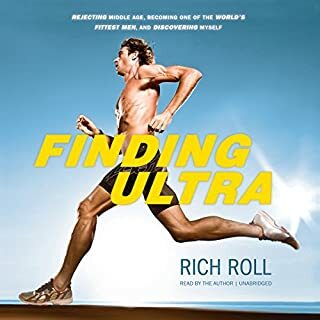 In search of an answer, Christopher McDougall sets off to find a tribe of the world's greatest distance runners and learn their secrets - and in the process shows us that everything we thought we knew about running is wrong. 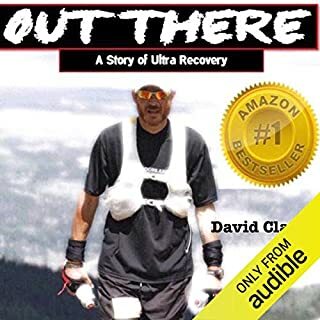 With the help of Caballo Blanco, a mysterious loner who lives among the tribe, the author was able not only to uncover the secrets of the Tarahumara but also to find his own inner ultra-athlete, as he trained for the challenge of a lifetime: a 50-mile race through the heart of Tarahumara country pitting the tribe against an odd band of Americans, including a star ultramarathoner, a beautiful young surfer, and a barefoot wonder. 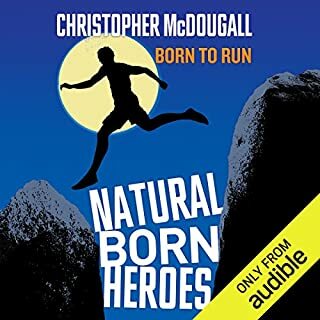 With a sharp wit and wild exuberance, McDougall takes us from the high-tech science labs at Harvard to the sun-baked valleys and freezing peaks across North America, where ever-growing numbers of ultra runners are pushing their bodies to the limit, and, finally, to the climactic race in the Copper Canyons. As a runner I found his investigations and findings fascinating, I even tried some of the techniques. Told very well so as not to become boring and an ending that had me on the edge of my seat. Very well narrated too. This book had me captivated from start to finish, thoroughly enjoyed it. 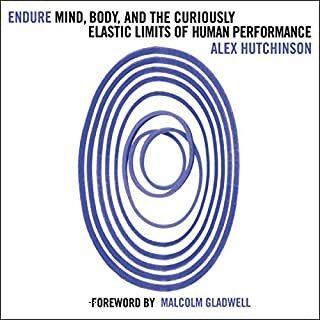 Would highly recommend this book to anyone not just those interested in ultra running. Absolutely loved this book, amazing story and great information. 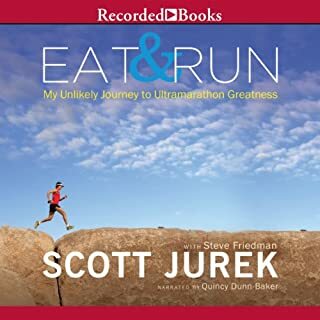 Awesome if your a runner that wants inspiration but also great if you just want a fantastic book to possibly motivate you or just entertain you. This book is an absolute game changer. Brilliantly written, and read. My favourite book yet. Inspiration of a book. 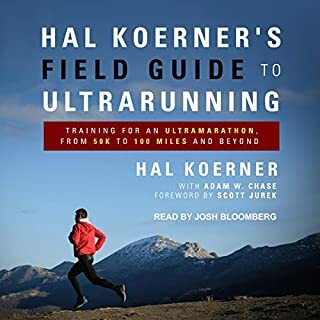 As not the fittest person this book gives you the drive to become a trail runner. See you out there. I want my buddy to read it next. The narration is entertaining and the story makes a good contribution to the never ending debate on race foot wear. inspired to get the runners on and hit the tracks. 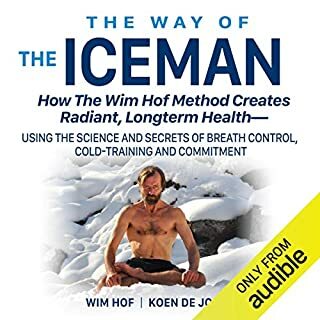 This book kept me coming back for me and has changed me as an athlete. I would highly recommend it! Very interesting history and I'm sure you will get various insights out of this book. positively devoured this book. exceptionally written. amazing story. life changing revelations on what this body of mine can achieve. Must read!! Loved the story!! 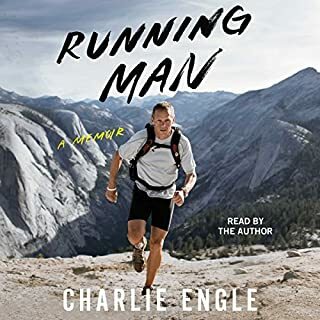 The narrator has done a really good job and I loved how it inspires us to run and the entire story is very captivating to listen to! Learnt a lot from this book. loved this book. great story and well told. great book. author tries to play role of a scientific researcher as well which - to a scientific mind - looks very half baked. but nonetheless the story is extremely interesting and keeps you hooked till end. 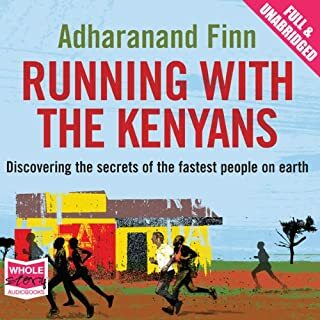 if you are even slightly interested in long distance running, you will love this book. 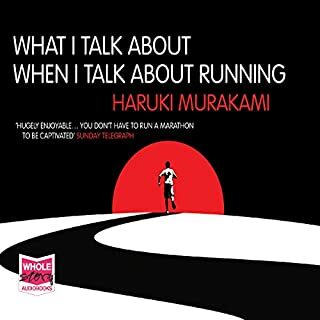 excellent narration.Very live at a time philosophical.Real research work on running.Boon to marathoners! Explained barefoot tradition so well. Spellbinding. Brilliantly narrated. Extremely interesting links between evolution, psychology and running. I couldn't stop listening. 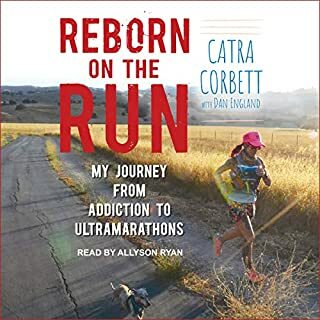 Where does Born to Run: rank among all the audiobooks you’ve listened to so far? What other book might you compare Born to Run: to and why? 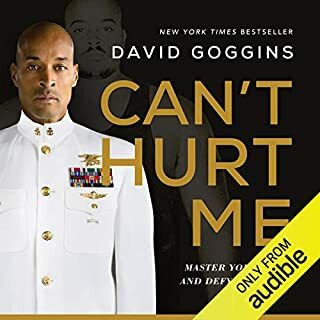 The most inspirational book I have read or listened to in a long time. Makes you want to stop everything and go for a run. There's a lot going on here. It's a book about running that weaves a thrilling story of an adventure race in the Copper Canyons in Mexico, the culture, attitude and history of long distance running, the science behind endurance running, the mystery of a hidden culture of Mexican Indian runners and their unlikely US Ambassador and - most importantly - the author's journey into, and successfully out the other side of the world of adventure racing. McDougal's skill is to make the characters larger than life, make his own story relevant and interesting and keep the narrative from getting to bogged down in history, science, statistics or geography. It's an adventure story, a travelog, an inspirational tale, an informative journal and a very funny and memorable story. The narration is first class as well, keeping the wit dry and the pace just enough to keep your breath. What can I add, other reviewers knew of or knew the runners here. Comparatively I just read this book. It was interesting, engaging, educational, I really hope this guy did his homework and has really delivered us the truth and I have no reason to doubt this. Its a easy listen but educational, what more can a reader want! 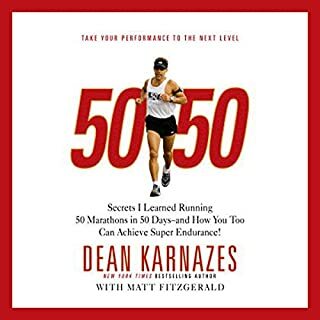 I read this book because I wanted to improve my own running, I am fascinated by outlying tribes hidden from the world, and I love reading about seemingly super-human abilities. 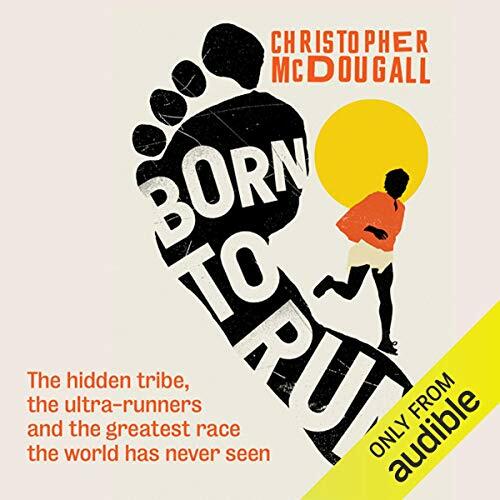 Born To Run tells the history of the Tarahumara tribe of super runners in northern Mexico. They are a secretive people who routinely run marathons back to back, before getting wildly drunk, before waking up and doing it all over again. They run because they love it, and I have a feeling that an average Tarahumara man or woman could probably run further and faster than 30 average non-Tarahumara men or women running in relay. There was nothing in the book about Tarahumara genetic insights, so I am next off to Google to see if anyone has figured out the Tarahumara superhero secrets. There was some mention throughout the book of the Tarahumara diet, and I just purchased some Chia seeds online. I'm very interested in seeing them turn water into gel. How odd. Born to Run told a captivating story and was very entertaining, and is well worth reading. This book made me want to run more, burn my running shoes, and live in the woods. "If you don't think you were born to run, you're not only denying history; you're denying who you are." I also learned that the average human has a longer stride than a horse. The human is a more efficient running machine than a horse, so if both were engines filled with the same amount of fuel, the human would go further. We out-horse the horse! With the sad loss of Caballo Blanco earlier this year "Born to Run" now takes on an added poignancy. For a book about a bunch of misfits running in the wilderness it is remarkably gripping and is so well written that I felt I knew all the characters. So much so that when I met, and ran with, Barefoot Ted I spoke to him as if he was an old friend I hadn't seen for years. I will also add that it is worth buying just for the pronunciations. 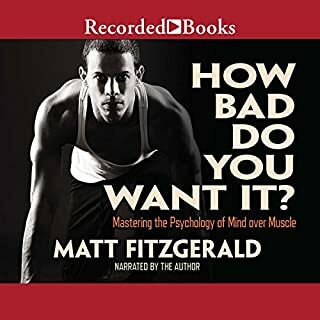 I found the book to be easy to listen to and found myself finishing it relatively quickly over a few drives on my way to work. I do enjoy running but have never attempted a marathon and never even contemplated anything further! 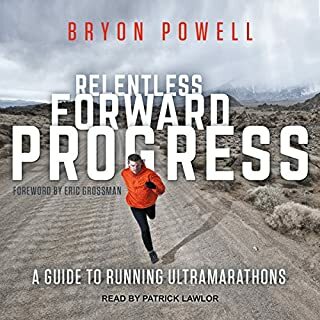 The author brings out the fun in running, exploring the motivations that drive people from various walks of life to regularly run distances that few of us "mortals" have ever attempted on foot. 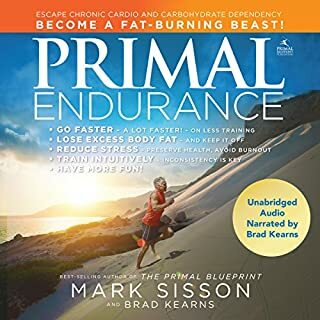 The book inspired me to relax my running style a little and to try some lighter trainers (not quite "barefoot" but a lot less clunky than the normal structures running trainers I've gotten used to). 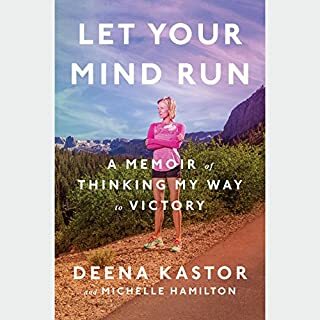 I just loved this book as after many years of feeling crippled with my ankle I dared to go running again. The narrator has captive and interesting style with a clear voice keeping the tension going throughout the book even when it gets a bit scientific! Entertaining but sometimes seemed a bit phony.. I would not recommend this book to a friend. The author seemed to use poetic license to dramatize events which really didn't require embellishment. At times however he captures the spirit of the sport very beautifully. I have since read that some athletes who were characterised in the book later expressed their displeasure with the author's characterisation of them. Anyway, I will be feeling infinitely more guilty about my modern lazy lifestyle, and for that the author is to be commended! What made the experience of listening to Born to Run the most enjoyable? I was hooked and completed it in two days! Fred Sander 's performance was calming and gentle! Christopher McDougall has really inspired me to make the transition to barefoot running! There were moments where I would catch myself laughing along. Really worth the time! 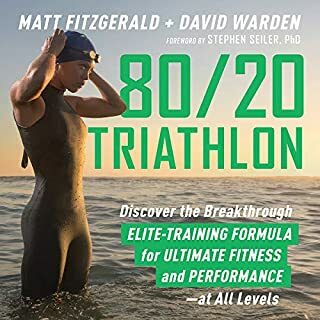 If you're interested in running this is the book for you! My next step.. To become an ultra-marathon runner!